Counseling hesitant families about vaccines takes time. Meanwhile, the rate of unvaccinated children is rising. It's too soon to know if public bans like Rockland’s are effective in increasing vaccination rates, Omer said. Wiesman declined to specifically comment on Rockland’s ban, but said that if public health were adequately funded in the U.S., there would be no need for such orders. 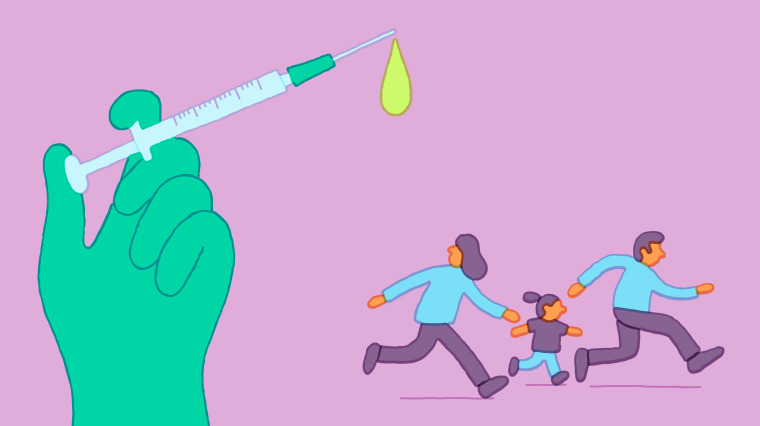 One effective technique, called motivational interviewing, requires a skilled facilitator to use empathy and active listening to connect with parents who might be angry or scared about vaccines. It's what Siman Nuurali, a quality and patient safety improvement specialist at Children's Minnesota hospital, used during the height of the Minneapolis 2017 measles outbreak. The Somali community in Minnesota used to have high vaccination rates for MMR, on par with the general population. But in the early 2000s, those numbers plummeted, going from 91 percent in 2004 to 54 percent by 2010. Experts attributed the decade-long decline to anti-vaccine groups claiming childhood vaccines were causing their children to develop autism. Research shows when there is a standing order for vaccines in a patient’s chart that allows nurses, midwives, pharmacists or physician assistants to give the shot, not just the doctor, people are more likely to get their vaccines.